While I've been planning my wardrobe room for some time now I'm hoping that by summer it'll be all-in and finished so I'll talk about the progress on that soon. For now I've been thinking about a theme for our lounge, how it would work with the attached dining room and how I can pull it through to other rooms like the kitchen. I've collected together a number of blush and copper coloured items that I think would look great through the house. 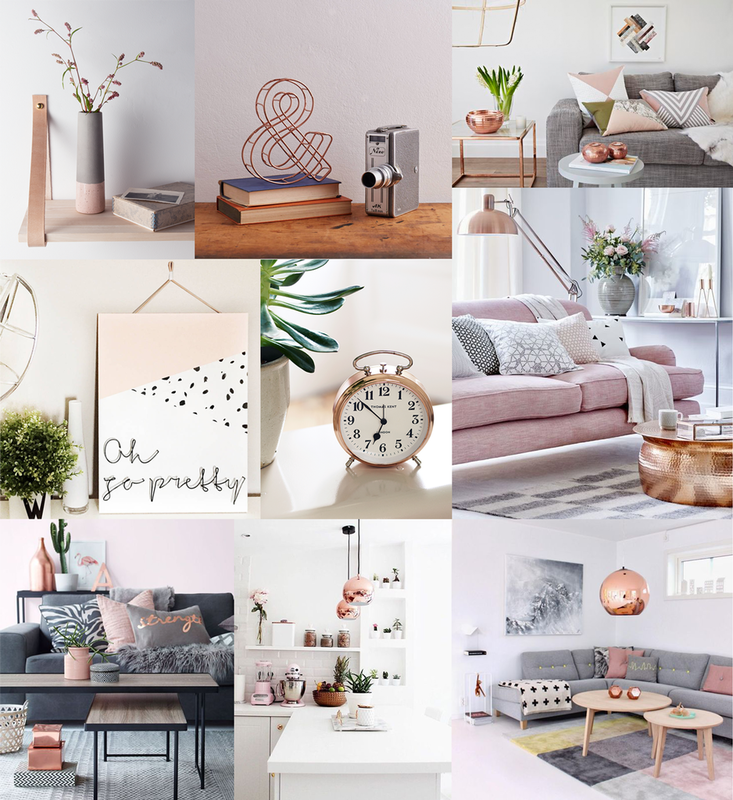 From rose gold flower pots and metallic inner lampshades to rose coloured cushions and dusky pink throws I've become quite obsessed with this theme and the possibilities of how beautifully stylish my house could (will) look. I've also been at it again on Pinterest (every day) and found a lot of great home decor inspiration for furniture, flooring and accessorising. I'm so exciting to get this interior decorating under way! 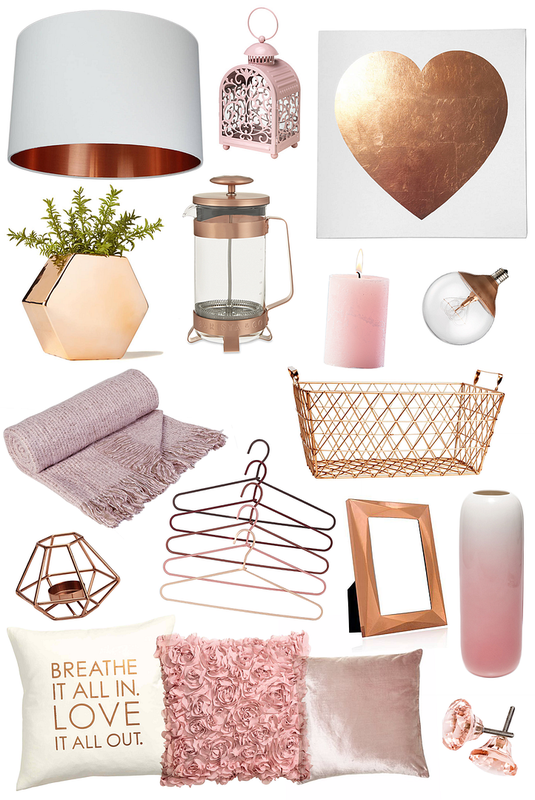 One thing I couldn't fit into this little collection of inspirational goodies is this copper and marble lamp I found on notonthehighstreet, isn't it perfect?! From the images above you can find the alarm clock here, the 'oh so pretty' wall art here, the wire ampersand here and pink dipped concrete vase here.